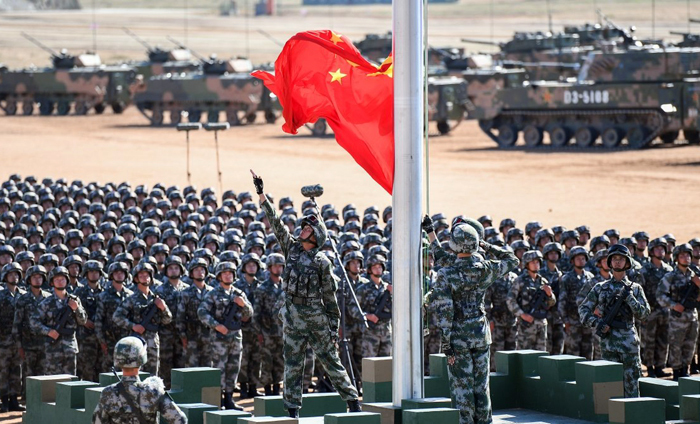 (TibetanReview.net, Apr08’19) – China has made any criticism of its army a criminal offence. So anyone who tweets that the Chinese military is corrupt, or that Chinese weapons don’t work, or, say anything else online that makes the People’s Liberation Army look bad may land one in jail, reported nationalinterest.org Apr 6. The report said the country had just drafted a law that would criminalize the spreading of online “rumors” regarding China’s military. The new law follows a 2018 law that criminalized “slander” against “heroes and martyrs,” including war heroes. Chinese officials were reported to worry that the Internet and social media were unleashing a tide of “fake” news, although some might actually have been truthful though embarrassing to the army. “In recent years, more than 10,000 military-related slanderous comments have surfaced online annually,” Jiang Yong, a Chinese legislator and political commissar of the PLA Beijing Garrison Command, was quoted as saying. One apparently false online rumor was reported to have claimed that China was “offering soft loans of 20 billion yuan (US$3 billion) to India in exchange for their retreat” from disputed territory claimed by China. Chinese leaders may also be worried about persistent corruption within the military, so policing the Internet would be another way to stifle publicization of these problems, the report said. The report said that for authoritarian governments like Russia and China, whose popularity and even legitimacy rest on the prestige of their militaries, civil liberties take a back seat.